Today, many businesses and industrial facilities require automatic door closer installation and repair services on a regular basis. 713 Locksmith Houston serves commercial enterprises in Houston, TX and surrounding areas, offering complete locksmith service to meet your firm’s unique needs. We value our customers and we treat them honestly. The complexity of automatic door closers today generally means that commercial enterprises must locate locksmiths with special expertise in this field. 713 Locksmith Houston boasts 5+ years experience. We offer clients throughout Houston up front pricing, fast and friendly attention, and a rapid, 24x7 locksmith service available to assist them in resolving their concerns any hour of the day or night. We replace, install, and repair automatic door closers and are available to provide this assistance for government buildings, schools, supermarkets, hospitals, malls, industrial complexes, warehouses, airports, and other public and commercial settings. We understand the importance to your company of hiring only licensed, bonded, and insured professionals. When a door fails to close properly, this situation can significantly disrupt business operations. Therefore, our company makes a point of furnishing excellent, rapid speedy response times to service requests. With many expert technicians available to address issues involving automatic door closers and their installation and repair, we can address your concerns expeditiously. Let our mobile locksmiths solve your door closing issues and allow your enterprise to return to a fully operational state with minimal losses of time and business. 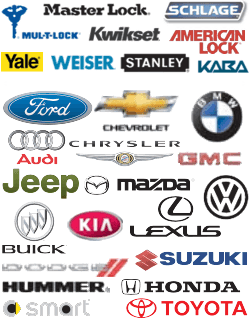 As a commercial locksmith in this area, we appreciate the need of our clients to maintain seamless operations. We work as rapidly as possible, and with a minimum amount of inconvenience and disruption to your business environment. The professionals who represent us take justifiable pride and satisfaction in their work. We save other companies time and money by addressing automatic door closer problems efficiently and quickly. We not only install and repair the mechanisms and components of commercial locks in a wide array of industries, but we also furnish comprehensive assistance to clients in resolving these issues in the most cost-effective manner to enable them to maintain smoothly running business operations. 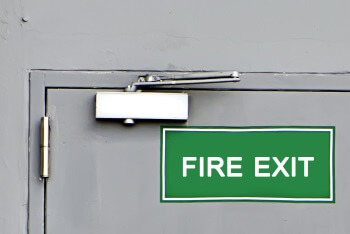 The malfunctioning of even a single door in some commercial settings can place an enterprise at great risk of sustaining losses. Banks, warehouses, supermarkets, and many retail operations sometimes find themselves requiring the services of a highly skilled, professional locksmith on short notice, during an inconvenient time of day. We will dispatch a technicians to assess and resolve these types of issues within speedyutes of receiving a call for assistance. Our professionals understand how important urgent requests for technical services can be to clients. Our ability to address issues of this nature comprehensively, competently, and as rapidly as possible enhances our value to our clients. Some locksmiths do not possess the resources, tools, or available components to respond to commercial lock emergency situations at any hour, but we do. In fact, we strive to maintain inventories that enable us to address many common problems in a single service call, whenever possible. If a specialized component must be ordered from a manufacturer, we can offer advice about short-term door closing measures. Serving the needs of your business in this situation remains our top priority. 713 Locksmith Houston serves businesses and industrial facilities in Houston, TX and surrounding communities. We offer complete locksmith service and specialize in installing and repairing automatic door closers. With 5+ years experience, up front pricing, fast and friendly 24x7 locksmith service, we can address the needs of your company rapidly. Our technicians receive extensive training and they are fully licensed, bonded, and insured. We take great pride in furnishing a speedy response to service call requests at any hour of the night or day. Our mobile locksmiths provide comprehensive commercial locksmith services, including the installation and repair of the sophisticated automatic door closers that are widely utilized in today’s businesses. Call us today and we will resolve your company’s door closing issues professionally and quickly. 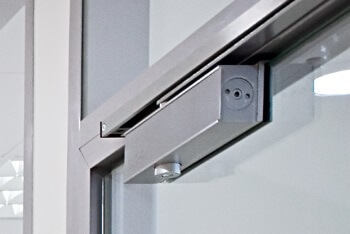 Automatic Door Closers Repair and Installation http://713locksmith.com/automatic-door-closers/ 3.4/5 based upon 10 reviews.